Girl steal all the stares in this co-ord jacket girl. 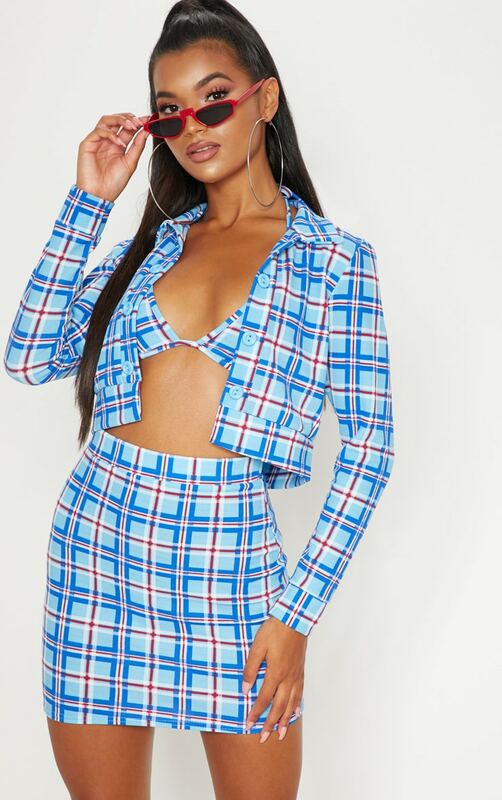 Featuring a blue material with a checked design and a button detail in a cropped length. Style this jacket with the matching skirt and bralet complete the look with some court shoes for a look we are loving.